Retailers in the San Diego area are preparing for Black Friday crowds, with many opening as early as Thursday night. 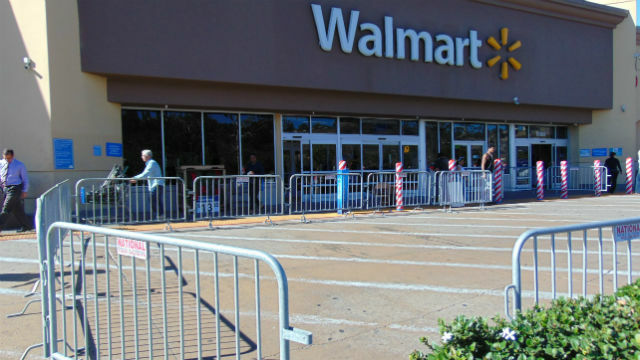 Walmart‘s Black Friday deals are available starting at 6 p.m. Thursday. On Wednesday, fences were being sett up outside stores so that shoppers would have a place to wait for doors to open. Best Buy stories are opening a little earlier, at 5 p.m. on Thursday. Target stores, the Carlsbad Premium Outlets and Fashion Valley stores are scheduled to open at 6 p.m. But retailers acknowledge that much shopping now takes place online, and Black Friday begins even earlier on the Internet — 9:01 p.m. Wednesday for Walmart. “Some people waht to shop from the comfort of their own home,” said Tiffany Wilson, director of communications for Walmart. For in-store shoppers, Walmart is color-coding merchandise and will have “holiday helpers” in special hats to guide shoppers. “We’re trying to make it a more efficient shopping experience,” Wilson explained. The retailer, America’s largest, said it has 10 million toys in stock for Black Friday. Black Friday is so-named because of an axiom that hordes of holiday shoppers on the day after Thanksgiving make stores profitable for the first time in a given year.